1892: Mobster Dion (Dean) O’Banion is born to Irish Catholic parents in Maroa Illinois. O’Banion for a short period would become a major kingpin in Prohibition Chicago, controlling most of the bootlegging and gambling in the northside of Chicago. O’Banion development through criminal ranks was not unusual. A poverty stricken teenager (with a beautiful tenor voice) who initially ran with The Market Street gang involved in theft and protection rackets. O’Banion was gunned down in his florist shop (where he supplied flowers to many Chicago gangster funerals) on November 10 1924 by Torio/Capone gunmen. One gunman greeted him with a handshake and held him while two others shot O’Banion six times. 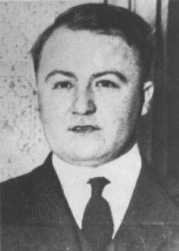 His death exploded the bloody Chicago Gang wars that would culminate in the St. Valentine’s Day Massacre in 1929. 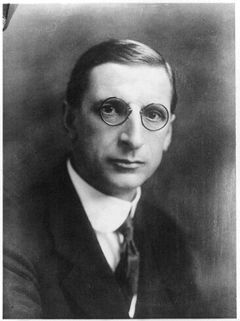 The desire you express on the part of the British Government to end the centuries of conflict between the peoples of these two islands, and to establish relations of neighbourly harmony, is the genuine desire of the people of Ireland. I have consulted with my colleagues and secured the views of the representatives of the minority of our Nation in regard to the invitation you have sent me. In reply, I desire to say that I am ready to meet and discuss with you on what bases such a Conference as that proposed can reasonably hope to achieve the object desired. A truce would be declared commencing July 11th. On December 6th 1921, Michael Collins would sign the Anglo-Irish Treaty in London and initiate the Irish Free State. 1981: IRA member Joe McDonnell is the fifth person to die on hunger strike in an effort to gain political status for Republican prisoners. Another five would die before the strike would be called off.